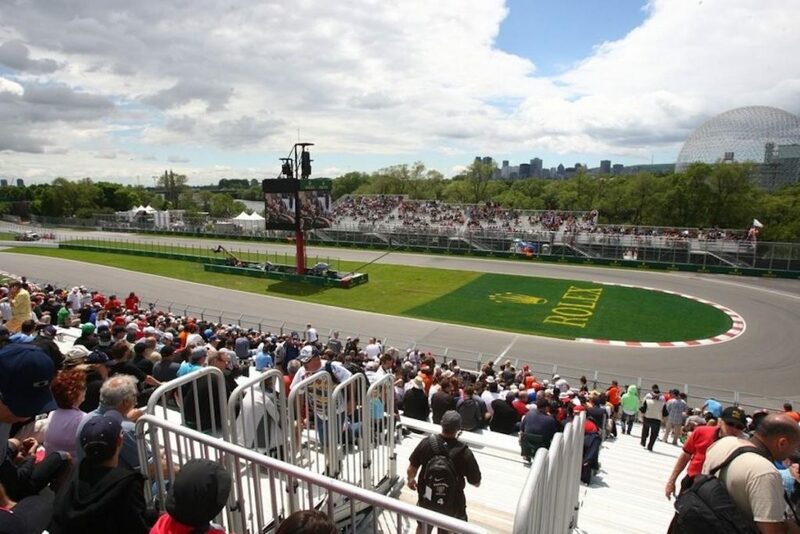 The best ways to get to Montreal for the 2019 Canadian Grand Prix on June 7-9, plus advice on getting to Circuit Gilles Villeneuve and around the city. Montreal is a modern city with a well developed and efficient public transport network – it’s also a great walking and cycling city with abundant parks and green spaces. If you are staying in the downtown area like we recommend, the best way to get to the Circuit Gilles Villeneuve is to take the metro. Montreal-Trudeau (airport code: YUL) is the main international airport serving Montreal and is 20km from the city centre. It’s a busy hub with a range of direct flight connections to North America, Europe, Asia, Africa and South America. Domestic flights: A choice of discount and full-service airlines serve domestic routes within Canada, with frequent daily flights between Vancouver, Toronto and Montreal. Airlines worth considering for domestic flights in Canada include Rouge (Air Canada’s discount carrier), Air Transat and WestJet. Flights from the USA: hundreds of regular flights connect major hubs in the USA with Montreal. Popular airlines serving Montreal with direct flights include Air Canada, US Airways, American Airlines, Delta, United Airlines, Air Transat and WestJet. Flights from Europe: Montreal is well served by a range of direct flights (7-9 hours) from major European hubs. If you are looking for the cheapest deal, be sure to check flights into New York, Chicago or Toronto, from where you’ll easily be able to arrange an affordable onward connection to Montreal. Other long-haul flights: The average cost of a flights from Australia to Montreal in June is around $1500-2500 AUD. All flights have at least 1-2 layovers (in cities such as LA, Dallas, New York, Vancouver and Toronto) and a total travelling time averaging in excess of 24 hours. 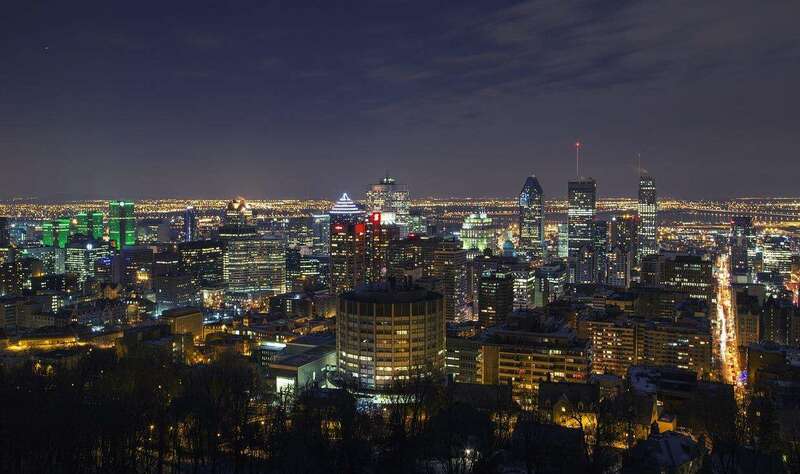 There are few direct flights to Montreal from either Asia or The Middle East – flights normally transit in either Toronto or New York. The main flight legs to North America from both Asia and the Middle East are amongst the longest non-stop flights in the world, taking 14-16 hours. Rated one of the most scenic train journeys in the world, the daily “Adirondack” service from New York to Montreal passes through the beautiful wine country of the Hudson Valley and takes around 10 hours. On Grand Prix weekend, a seat on this train will set you back around $150 USD return. From New York’s Penn Station, onward connections are available to Philadelphia, Baltimore and Washington, DC. More details on the Amtrak website. Airport Taxis: Finding a taxi at the airport is as easy as walking out the door. Most drivers are fluent in English as well as French. Fares from the airport to the city centre are regulated by a maximum fare, which is currently set at $41 CAD. The regulations and minimum fare are posted and visible inside the taxi, as well as at the taxi rank. It is customary, though not mandatory, to tip taxi drivers. If you are happy with the service, be sure to add a few dollars to the final fare. Uber: order a car once you’ve cleared customs and wait for your driver near Door 6 at the Departures level. Click here for more information and fare estimates. Airport Bus: There is a 24 hour public shuttle bus from the airport. The 747 bus stops at Lionel Groulx Metro station and then regularly on Rene Levesque Boulevard West which runs through downtown Montreal. A one-way ticket costs $10 CAD. Click here to download more information. Circuit Gilles Villeneuve is located within Parc Jean-Drapeau on a man-made island in the St Lawrence seaway called Île Notre-Dame. There is limited vehicular access to the island on Grand Prix weekend and hardly any parking nearby. If you have a car, leave it at the hotel and use public transport to get to the circuit each day like the majority of fans. The closest metro station, Jean Drapeau, is on neighboring St Helen’s Island near the Biosphere, accessible by bridge. It’s on the Yellow metro line and only one stop from Berri-UQAM station, which is the main interchange station in downtown Montreal. The metro can be pretty crowded on race weekend, but it is orderly and safe. Save queuing by buying your tickets in advance. There’s not much chance of getting lost getting on the way to the circuit – just follow the crowds, most of whom will also be headed to the track. Be ready for a 15-30 minute walk from the Jean Drapeau metro station to the track, depending on where you will be sitting. The closest grandstands to the metro are located on the hairpin (number’s 15, 21, 24, 34). If you don’t feel like walking, look out for the 167 bus which travels from the metro station to the circuit. A ferry service also operates from the old port to Isle Ste. Helene, the island right next to the circuit where the metro is also located. It’s a quick trip and a one-way fare costs $4.25 CAD. The ferry is not widely used by F1 fans on Grand Prix weekend, so is less crowded than the metro. On the downside, the service only runs once an hour. Click here to find out more. Montreal has an efficient public transport network. For most visitors to the Grand Prix, getting a 3-day public transport pass for approx $20 CAD will be the best option, as the circuit is most easily reached by metro anyway. Tickets and passes can be used on buses and the metro on the island of Montreal. Click here to access the website for Montreal’s public transport network (See the metro map opposite). If you are staying on the south shore, you will be able to access the metro, but buses are run by another public transport operator, RTL. There’s plenty of taxis in downtown Montreal, and Uber is also popular. Taxis can be hailed on the street, taken from a cab rank, or ordered by phone. As there are many taxi companies and they service different parts of the city, it’s best to ask a local which company they recommend. Short journeys in the city center should cost around $10-20 CAD. Don’t forget to tip the driver. With its abundance of parks and green spaces, Montreal is an ideal cycling city. 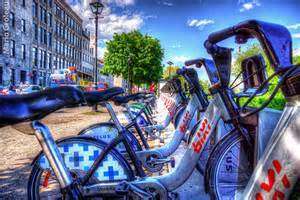 Hire a bike with the local rental service called BIXI. You can rent a bike for just $5 CAD per day or just take a bike from one location and leave it at another; one-way fares start from $2.95 and there are over 500 drop-off points around the city. Been to the Canadian Grand Prix? Leave a comment with your travel tips! The best things to do in Montreal away from the track on Canadian GP weekend. This year’s race takes place on June 6-9, 2019. Learn about the history of the Canadian Grand Prix at the Circuit Gilles Villeneuve in Montreal. Start planning your trip to Montreal for the Canadian Grand Prix on June 6-9, 2019. Where to watch the action at Circuit Gilles Villeneuve. Your guide on buying tickets for the Canadian Formula 1 Grand Prix in Montreal. From hostels to luxury hotels, we’ve chosen the best places to stay in Montreal for the Canadian Grand Prix. Useful information to help you plan your weekend at Circuit Gilles Villeneuve, including the full on-track schedule. The 2019 Canadian Grand Prix takes place on June 6-9. It’s a long walk from Jean Drapeau Metro station to Grandstand 1,2,11 & 12. Here’s a tip: From Jean Drapeau Metro station you can take the 777 bus to the Casino for free & save about 1 mile of walking. If you ask the staff about the 777 bus, they will give you a vague answer. Obviously they’ve been instructed to discourage race goers from taking the 777 bus. I’ve been to Fi races on previous years and seen small ferries bringing fans to a dock close to the 11 / 12 series of stands. Are they coming from Old port area and if so, where? Read the post again, we mentioned the ferry service! Boats leave hourly from the quays of the old port. More info here. Sounds like Gene is asking about ferry service grandstand 11/12. The ferry service in the article is from old town to Jean Drapeau. It is no closer to 11/12 than the metro. Is there a ferry service on the interior lake? or outside the entrance in the back of grandstand 11/12? We will be traveling to Montreal this year on Wednesday for the race weekend, but must fly home on Sunday night. We are sitting in grandstand 12. Our plan is to take a taxi from the casino after the race to our downtown hotel and then to the airport for an 8pm flight. Does this seem workable? Are there other options? What would be the fastest way to get to the track from the hotel Brossard?